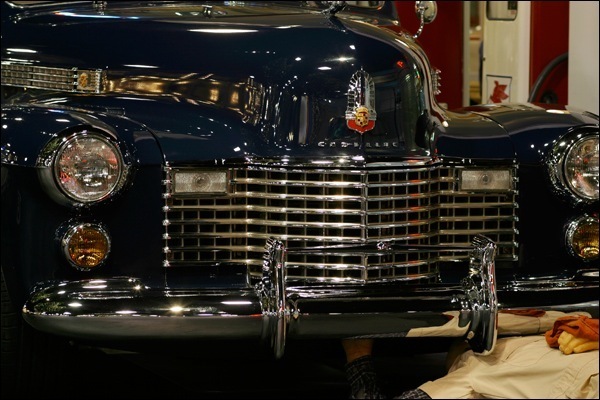 Styling was heavily emphasized for ’41, and the new Cadillacs emerged looking quite distinctive. 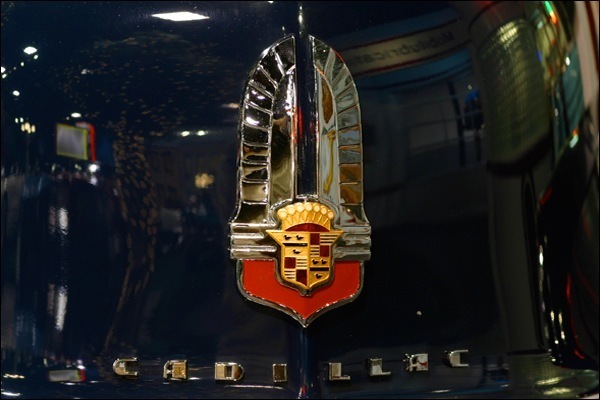 With good looks and solid engineering, Cadillac was about to strengthen its hold on the luxury market. 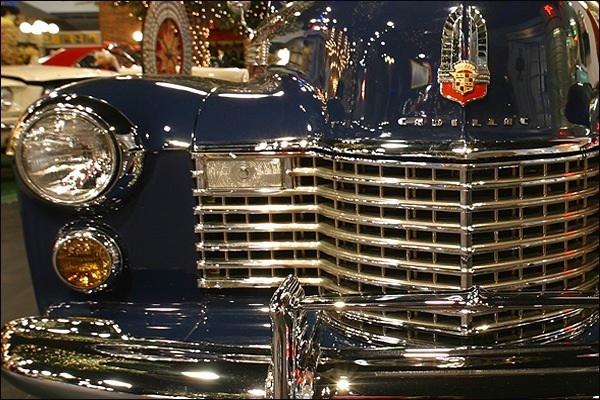 An eggcrate grille that would become a Cadillac trademark was new, as well as Hydra-Matic automatic transmission. 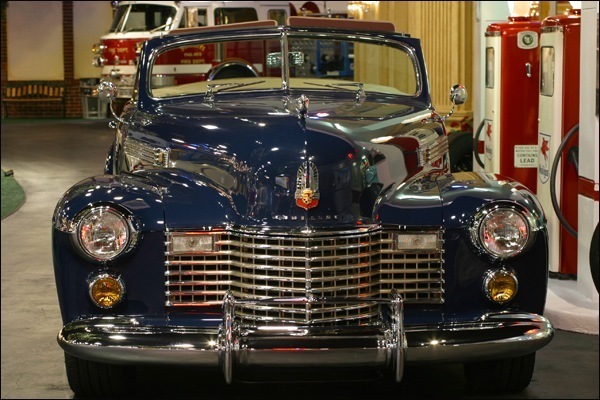 The prow-nose motif of the Thirties was gone, replaced by a blunter and more massive frontal design that was highlighted by a dramatic horizontal eggcrate grille — a theme that has been continued to this day. 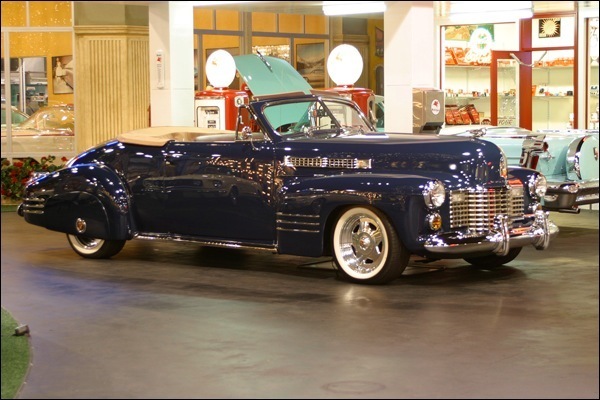 That, plus the coffin-nose-style hood (evidence of the industry-wide effect of Cord styling), and the headlights integrated into the broader fenders, separated it from all Cadillacs that had gone before. 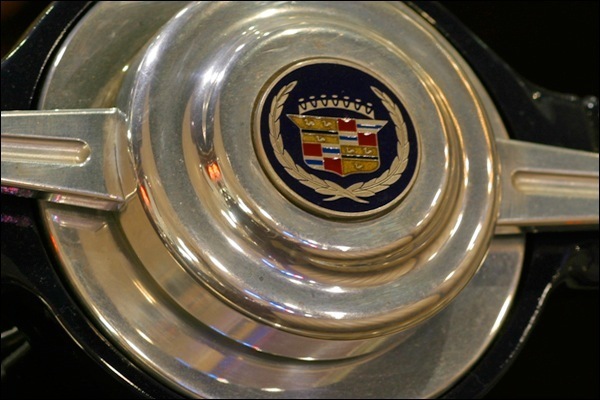 Meanwhile, a three-piece front bumper guard (one horizontal) provided a cove to protect the license plate, and provision was made for extra-cost fog lights under the headlights (cars without them sported round emblems with a “V” in their center). 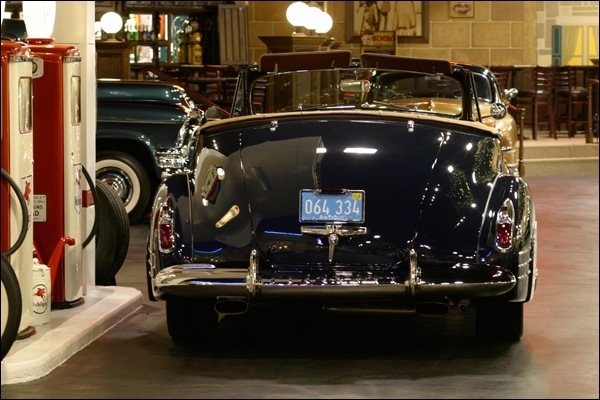 At the rear, fenders were squarer, the left taillight hid the gas-filler cap, and on most models twin vertical bars divided the rear window into three segments. 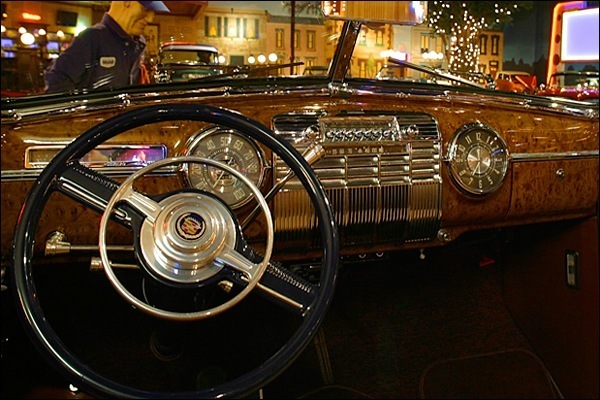 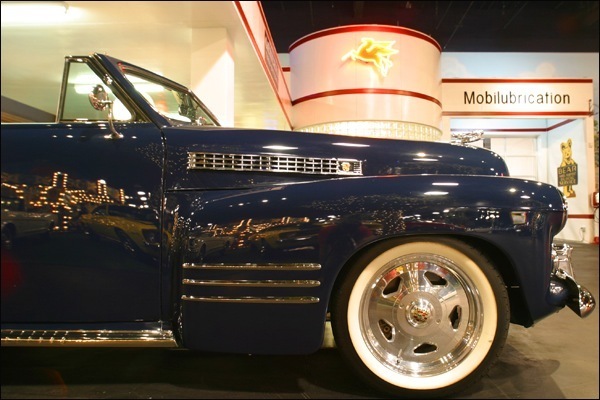 A large circle medallion on the fender skirts and three horizontal chrome “speed stripes” on the front and rear fenders of most models also set the cars apart from previous Cadillacs. 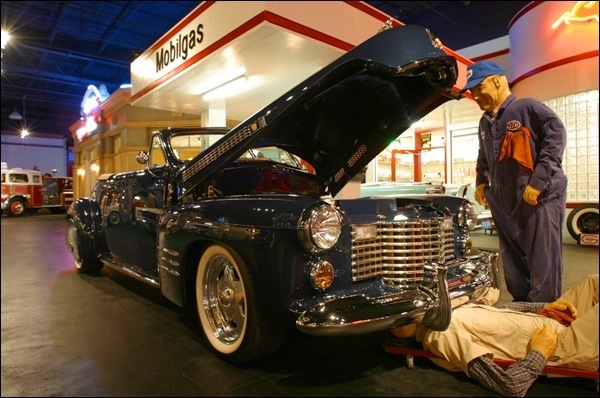 The ’41 Caddy was the first luxury automobile with a fully automatic transmission, four-speed Hydra-Matic, which had been pioneered by Oldsmobile in 1940. 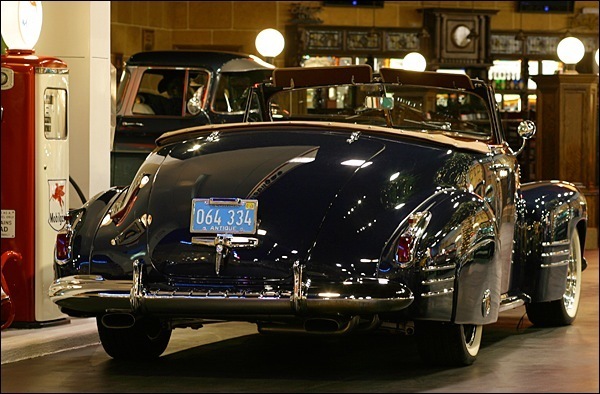 About 30 percent of production came equipped this way for ’41, and that would double the next year, and more than triple postwar. 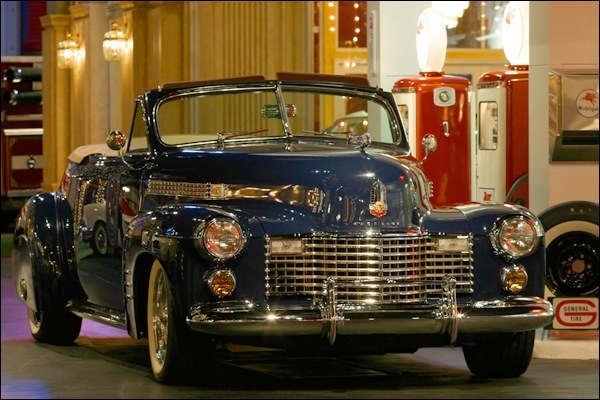 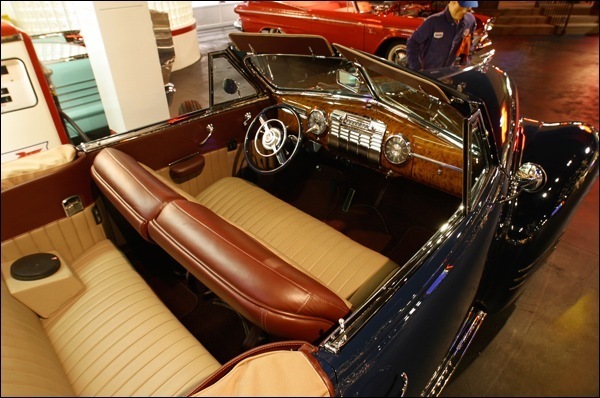 The ’41 model year also saw the introduction of air conditioning as a Cadillac option. 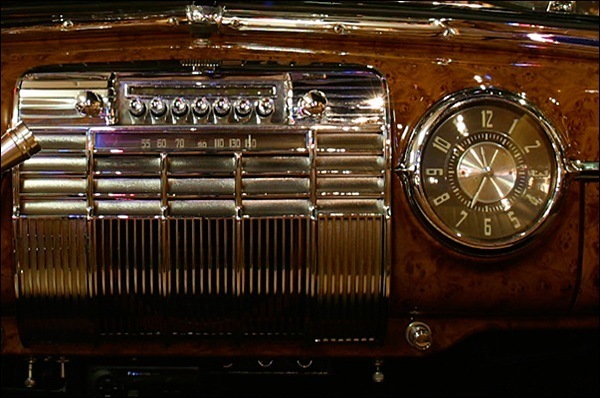 Truly, this was a big step from the classic era into the modem age — even though only 300 cars were equipped with it. 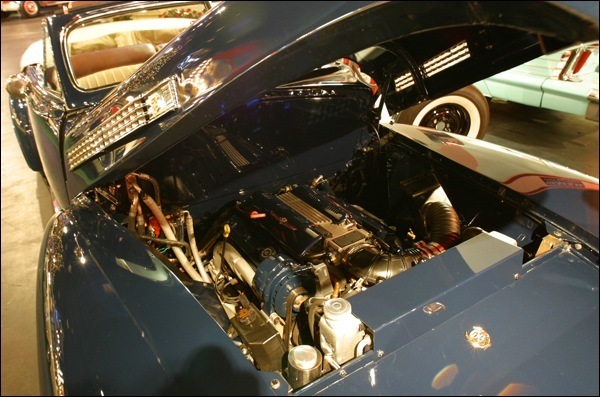 In addition, the 346-cubic-inch V-8 became the engine for all models through 1948. 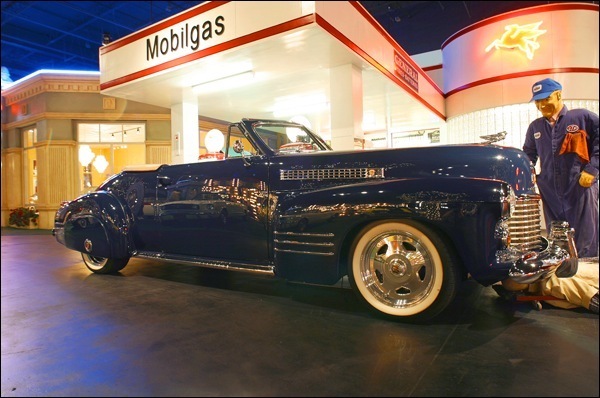 Cadillac stated that its 346-cid V-8 had undergone “hundreds of improvements,” including a higher 7.25:1 compression ratio (up from 6.25:1 and 6.70:1 in 1940). 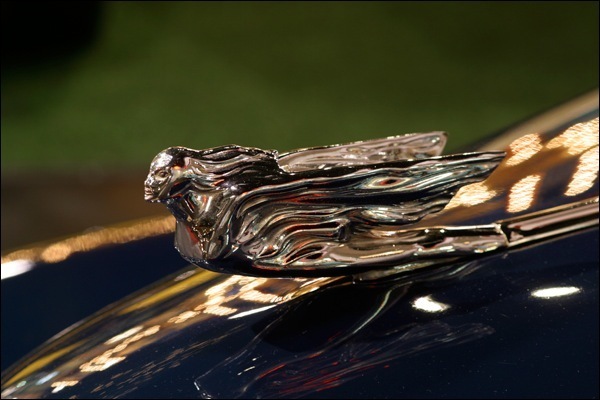 The changes boosted output of the L-head unit to 150 horsepower at 3400 rpm, enough to propel the lightest models from 0-60 mph in about 15 seconds, and from 0-30 in about four. 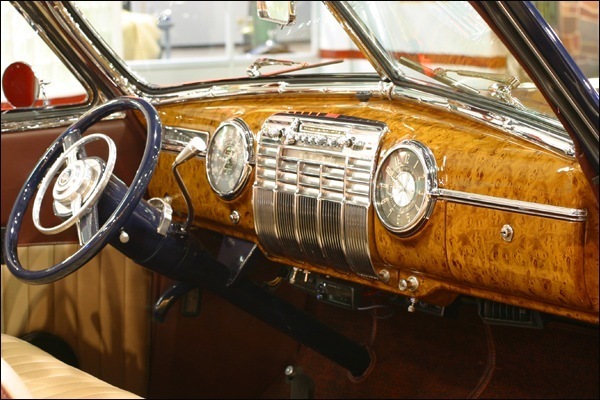 Safety wasn’t overlooked either, as directional signals were standard equipment, unusual in 1941.